I am finishing a new design of inflatable diaper insert for fun, last year I made several of them, which got sold pretty fast. This year I am finishing one design with some better PVC material, as well as design as of separate diaper with 3 size adjustment. It will have a "speciality" but I will not say more about it until I get a sample from my manufacturer. I am targeting people who like diapers/inflatables, it is not intended for normal use, but for play and so on.. (you know). Last year model was priced around 50€, this one I expect to be around 80-90€. Can you please write me if you are curious about it a bit or if it makes also sense to promote it later also on this forum? Below a pictures of last year model - inflatable diaper insert. Thanks Robert for your comment. I too like it, therefore I decided last year to move with the production, first few samples. 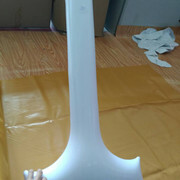 The hardest thing was to find a good manufacturer with high quality pvc. I've been putting inflatables in my diapers for as long as I can remember. The shape really needs to be wide at both ends not just one tbh. And the price is insane when you can buy noodles, guitars, & other items on ebay for mere nuggets. Not trying to discourage you however, as it's a great idea; especially when you fill it with warm water for over night! It's very stimulating Inflating it from flat whilst wearing is a thrill if a little tricky. 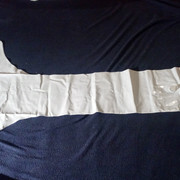 If you made one that when all around your hips as well, then i'd consider paying a larger price. But it's hard to justify 90 euros for 6.00 worth of pvc. All you gotta do is order a sheet, mouthpiece, & cut & glue it. Tbh I don't understand the concept of inflatable diapers. Can you tell me what these are? While I LOVE inflatables and diapers that’s too expensive for me at this exact moment but I’m still interested.I have been trying to design a 100% inflatable diaper but can’t find anyone to engineer it although I have people interested in it too. Hi guys, thanks for comments. The price is set for the sample production, it is always the highest. I expect the price jumping down when I will order of 100 pcs, but for now I understand that it is too high. 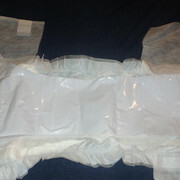 The new design will have the side belts, so that you can snap it together and you get a look of a standard diaper. Once I get it checked by my manufacturer , I will let you know more. Currently the need to check, whether all welding is possible and all features I added and shapes I designed are good. For the vinyl sheet and glue - I don´t like it. this one will be fully professionaly high frequency welded in normal inflatable manufacturing facility. It's more for getting that bulk feeling, but without actually wetting a diaper to full saturation. I used to have an old one I'd use in my swimming pool too. It adds just a little bit of buoyancy to keep your head well above the water. Though it does take some slight balancing and arm paddling to keep upright it's still less of an effort than treading water. Mostly just a novely fun sort of way to relax in the water. thanks for interest and good words in the PM. I will reveal the design once I get a sample first, because I think there will be some things to make better. I am also in negotiation of the price with the manufacturer, since the USD got better, so I do see potential to decrease the manufacturing costs. Currently I am also in discussion about the snaps to hold the diaper together, as it is a whole science behind it. Awesome! I can’t wait to see it! !